WASHINGTON (Legal Newsline) - The U.S. Supreme Court likely will not make a decision on the validity of class action waiver clauses in employer/employee arbitration agreements until at least the end of the year. Last month, the nation’s high court granted petitions for writ of certiorari, or review, in Epic Systems Corp. v. Lewis, Ernst & Young v. Morris and NLRB v. Murphy Oil USA Inc. Some experts in the class action field expected the three cases to be set for oral argument at the end of the current session. The Supreme Court holds oral argument between October and April, and the cases had been allotted a total of one hour for argument, according to the court’s Jan. 13 order list. If the court had heard arguments by April, a decision could have been handed down by late June or early July, when the court recesses for the summer. However, according to a Reuters report last week, the high court notified the lawyers involved that the three cases, which were consolidated, will be scheduled for argument in the 2017 term. The 2017 term starts in October. That means a decision likely won’t be reached until late this year or even early 2018. It also means that, by then, the court more than likely will be back to its full nine justices. The current high court is without Justice Antonin Scalia, who died last February. He served on the high court for nearly 30 years. His death has left eight justices on the court, split 4-4 between being fairly conservative and fairly liberal. Scalia authored the Supreme Court’s 5-4 opinion in AT&T Mobility v. Concepcion. In April 2011, the court ruled that companies can enforce contracts that bar class action lawsuits. Meaning businesses that include arbitration agreements with class action waivers can require consumers to bring claims only in individual arbitrations, rather than in court as part of a class action. Experts called the decision a “game-changer” for class action litigation. Late last month, President Donald Trump nominated Neil Gorsuch to succeed Scalia. Gorsuch, a conservative who serves as a judge on the U.S. Court of Appeals for the Tenth Circuit, must be confirmed by the U.S. Senate. The Supreme Court, in its upcoming decision, must consider whether the National Labor Relations Act bars enforcement under the Federal Arbitration Act, of class action waiver provisions in an arbitration clause in an employment contract. The court’s decision in the cases aims to resolve a significant split among federal appellate courts. The Second, Fifth and Eighth Circuit courts have held that the FAA requires the enforcement of class action waivers in employment arbitration agreements. The Seventh and the Ninth circuits have reached the opposite conclusion, holding that such waivers are unenforceable. In May, the Seventh Circuit ruled against Epic Systems, a Wisconsin-based health-care software company. Epic required certain groups of employees to agree to bring any wage-and-hour claims against the company only through individual arbitration. The agreement did not permit collective arbitration or collective action in any other forum. The Seventh Circuit said in its decision that employers can’t prevent class, or collective, actions through waivers in mandatory arbitration agreements. In August, the majority of a three-judge panel of the Ninth Circuit vacated a district court’s order compelling individual arbitration in a class action filed against Ernst & Young by its employees. The Ninth Circuit sided with the approach of the National Labor Relations Board in ruling that individual arbitration waiver agreements are unenforceable under federal law. The employees, Stephen Morris and Kelly McDaniel, alleged Ernst & Young, one of the “Big Four” audit firms, misclassified employees to deny overtime wages in violation of the Fair Labor Standards Act and California labor laws. In Murphy Oil, the NLRB had ruled that similar arbitration agreements barring the gas station chain’s workers from pursuing class or collective actions were unlawful. However, the Fifth Circuit reversed the board’s ruling. 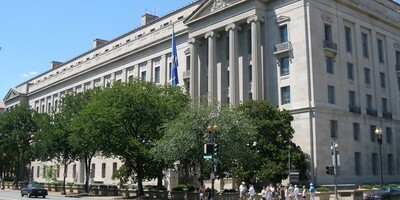 The NLRB, an independent agency of the U.S. government, is charged with investigating and remedying unfair labor practices. In recent years, following Concepcion and similar decisions, the use of class action waivers in arbitration agreements in various types of contracts has significantly increased. According to Carlton Fields’ 2016 Class Action Survey, the use of arbitration clauses barring class actions went from a reported 16.1 percent to 39.2 percent from 2012 to 2015.